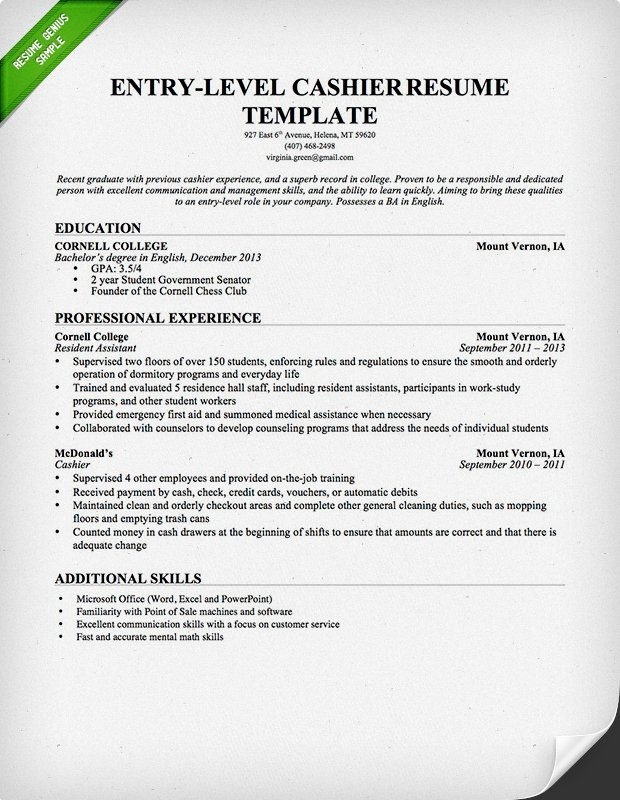 Resume is a professional way of submitting yourself to a potential employer. 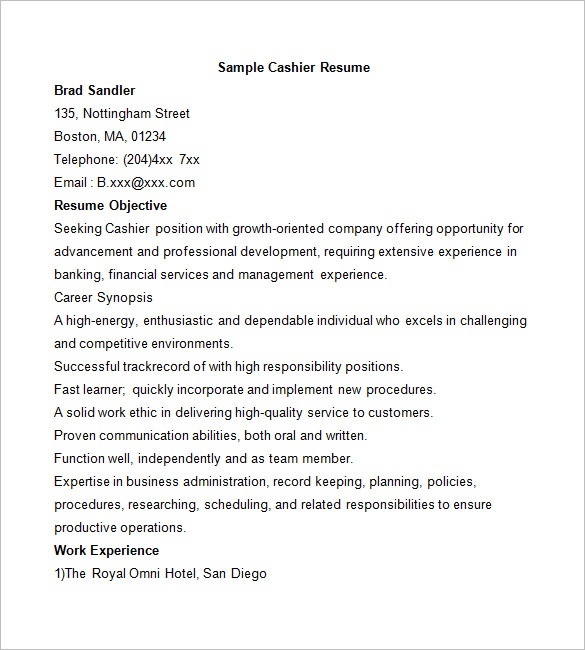 It is good to have a professional resume for this position already otherwise you must create a good one immediately. 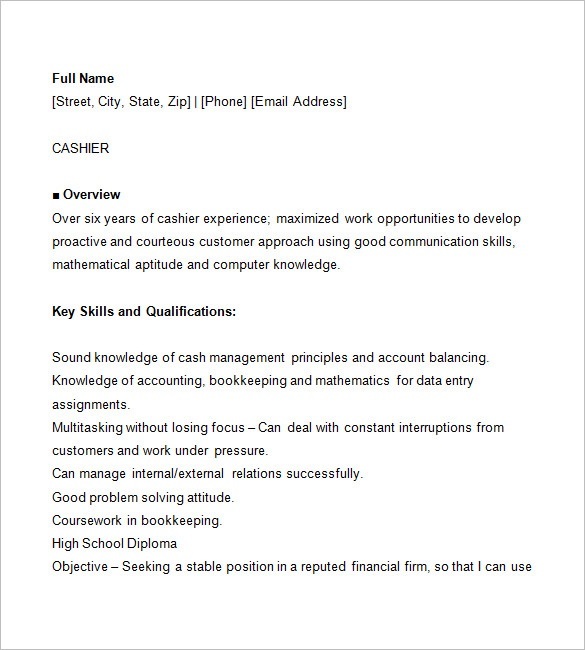 You also need more preparation if you want to apply for this cashier position as it includes math skills, interpersonal skills and other skills. 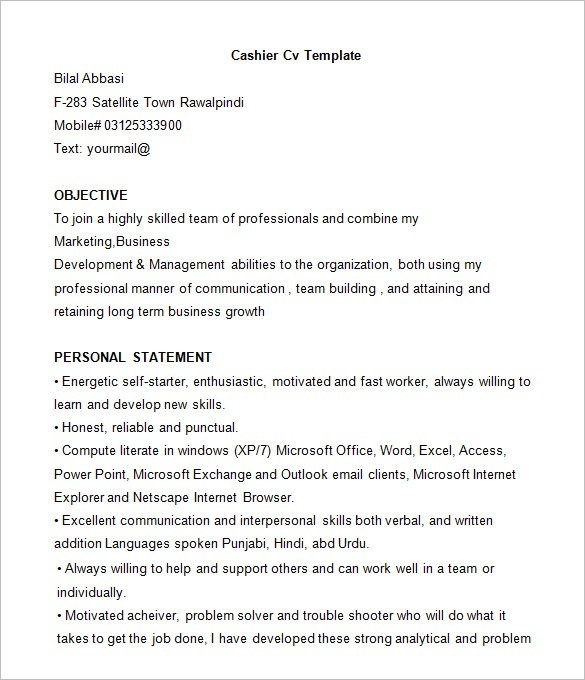 Here you have to manage your time and tasks in an effective manner. 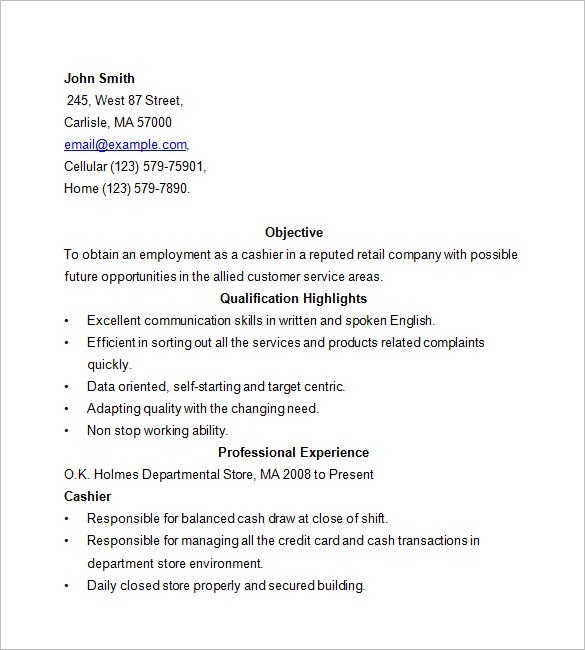 Another important skill one need to have for this job is good management and telephone etiquette. 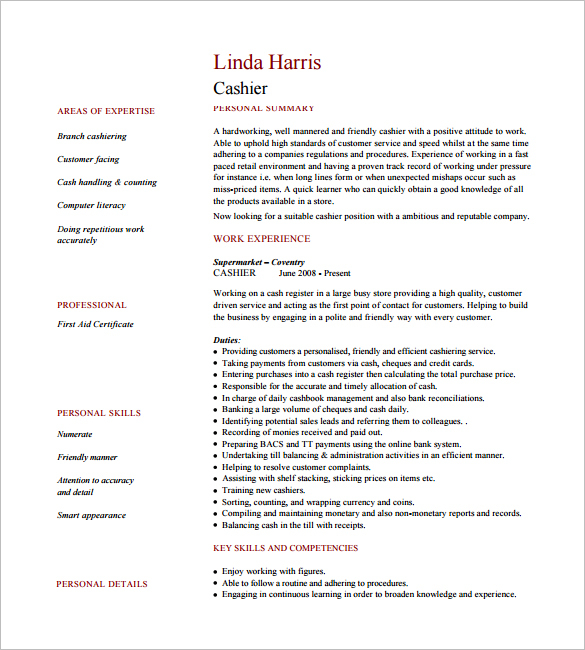 Now comes the presentation thing, how will you present on these skills to employer without a good resume. 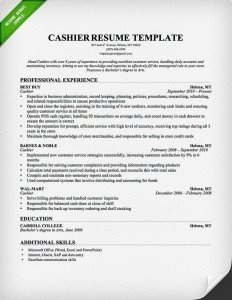 So choosing a best cashier resume template will help you in this case. 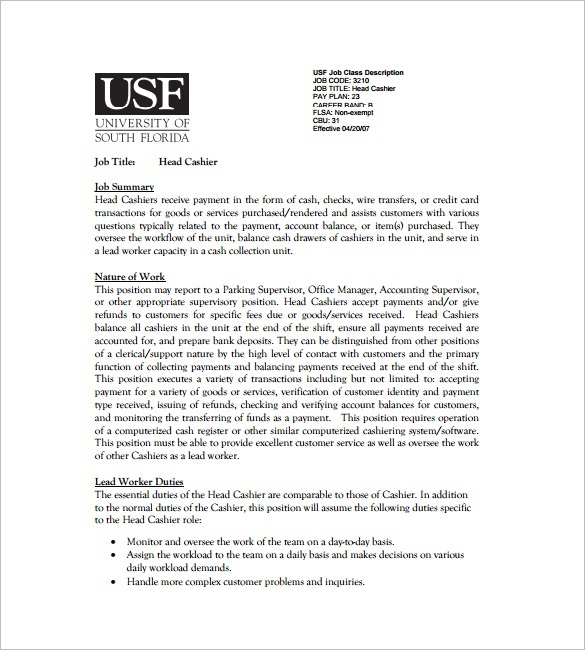 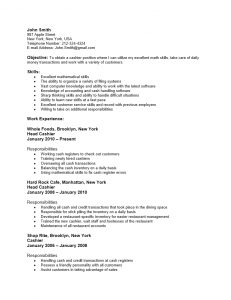 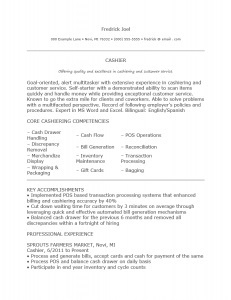 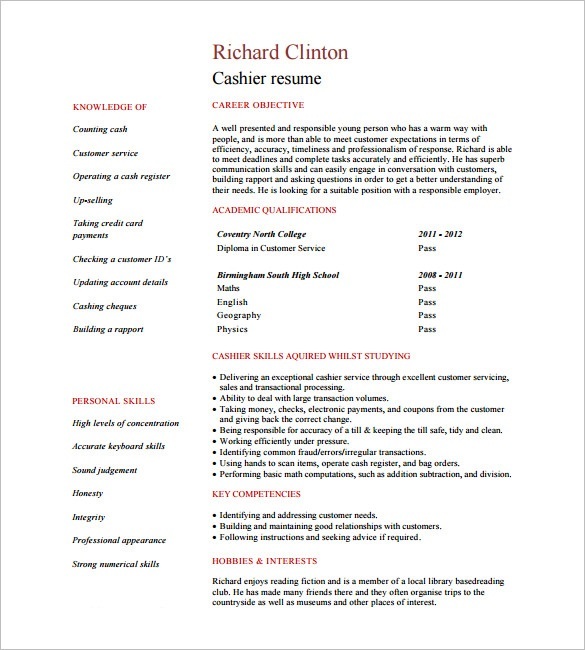 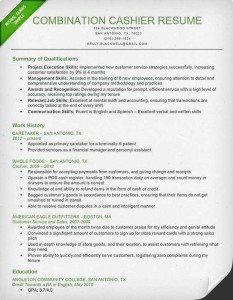 Now here we have mentioned 22 cashier resume templates that help you craft a great resume.